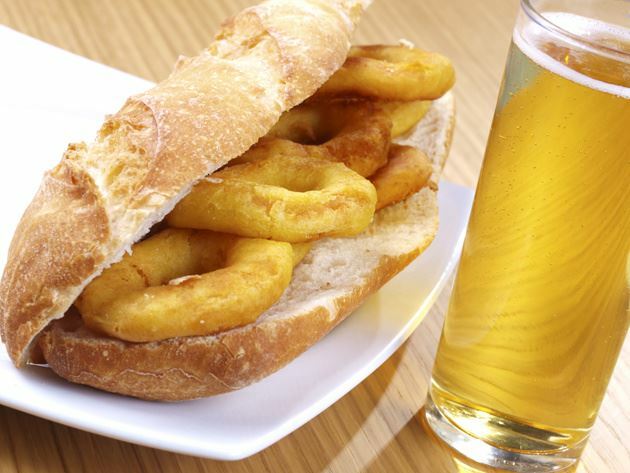 Madrid has no coast-line, but ironically enough, one of the typical Madrid tapas is the “bocadillo de calamares” or calamari sandwich. At Native Spanish Tapas, we recommend this sandwich to our clients, but do not offer it during one of our Madrid tapa tours, simply because it fills you up and we want to make sure you taste some of the best Spanish tapas in Madrid during one of our Madrid tapas tour. #1: Cervecería Plaza Mayor (Plaza Mayor 2). Right in the old quarter of Madrid! Their calamari sandwiches are from the northern sea of Biscayne, they are fresh, fried in olive oil and served on a long-style French bread. 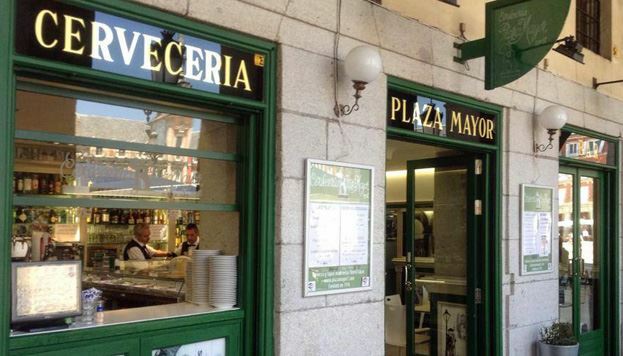 And this establishment gives you a free tapa with every beverage ordered, a true Madrid local tapas hang-out. #2. Celso y Manolo (calle Libertad 1). This local favorite hang-out is located near the Gran Vía, the more modern part of the historical center of Madrid. 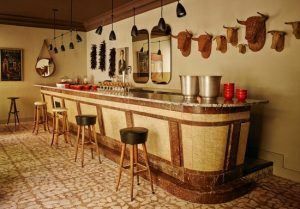 This establishment stands out because the use of ecological raw material such as the flour to fry the calamari as well as ecological wines. The sandwich is absolutely traditional and delicious. The establishment is adorned beautifully in an old Madid tavern-style. #3. Sergi Arola (calle Zurbano 31). Located in the predominant neighborhood of Chamberi, a 20 minute subway ride from Puerta del Sol, Sergi Arola, a renowned Spanish chef that embarked in this restaurant to conserve some of the best traditional Madrid tapas with a little twist of fusion. The calamari sandwich here is thinly diced, coated with a tempura breading, a light squirt of mayonnaise and a touch of lemon cream. 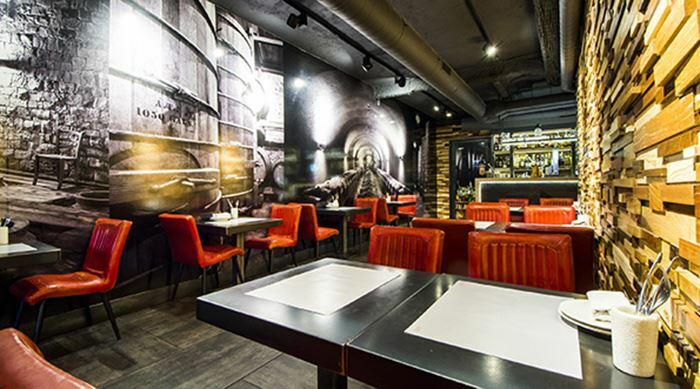 It is an amazing combination, another true local Madrid tapas hang-out. We also recommend having their house vermouth sweet wine. There we have it, don’t forget to check us out for one of the best Madrid tapas tours!